It's your chance to know the charm of Trujillo, the city of eternal spring. Learn about the main architectural constructions of the city of trujillo in an unforgettable City Tour. Visit Chan Chan, the largest adobe city in America and capital of the Chimú culture. Enjoy the elegance of the Paso horses and experience a northern sailor show. Trujillo: Pick up at Airport or land terminal. Transfer from the airport or land terminal to the hotel. In the afternoon we start with a tour of the Plaza de Armas, Cathedral, Urquiaga House, San Agustín Church, Emancipation House, Iturregui Palace, Archeology Museum. Tour of the ancestral Campiña de Moche. Visit to the Temples of the Sun and the Moon, sample of friezes and original murals. 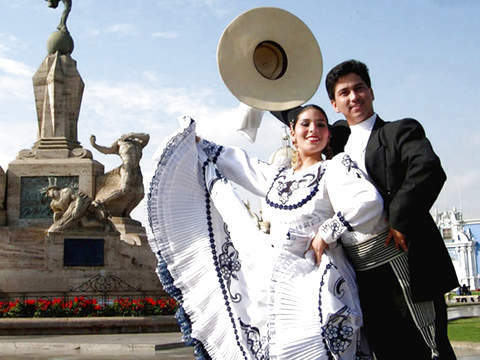 In the afternoon we will visit Chan Chan, visit the Huaca Arco Iris, the Site Museum and the Nikan Palace. 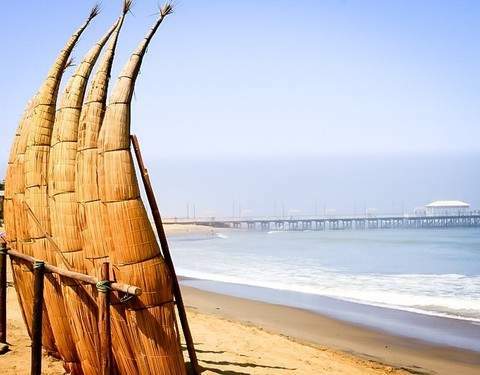 Enjoy the Balneario de Huanchaco with its enigmatic Caballitos de Totora. 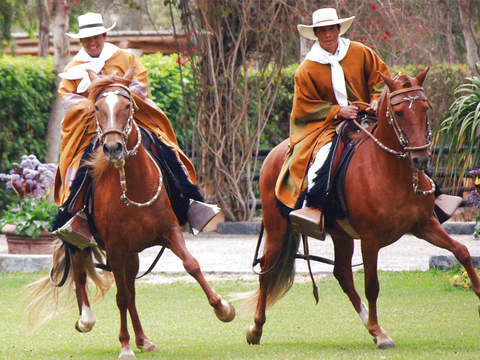 Delight in a show of Peruvian Paso horses, marinera, choreography and typical dances. Transportation from the hotel to the terminal or airport. Transportation from the Airport / Terminal to the Hotel and vice versa. Air or land tickets to or from Trujillo. CHILDREN: Children under 3 years old do not pay, they share a room and service with their parents and / or adults, they do not have the right to additional bed and other consumptions. From 4 years, pay published fee. Hotel Colonial is 200 meters from Trujillo's main square, the city's cathedral and the El Carmen monastery, and 9 km from the airport. It has a restaurant, reception 24 hours and its rooms include private bathroom, WiFi and TV. The accommodation in the aforementioned establishment is subject to the availability of rooms for the date of your trip. Otherwise, you will be lodged in a similar category and service.